Historically, high quality forecasts have been very challenging to produce. This resulted in a severe shortage of analysts who could deliver forecasts with the level of accuracy required to drive business decisions. 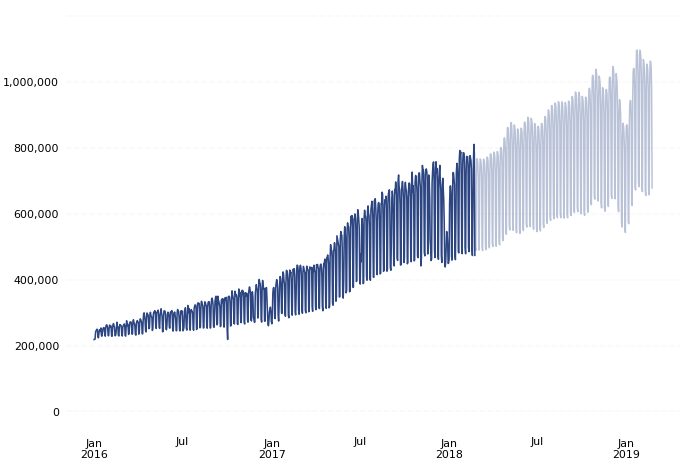 To alleviate this supply gap and to make scalable forecasting dramatically easier, the Core Data Science team at Facebook created Prophet, a forecasting library for Python and R, which they open-sourced in 2017. 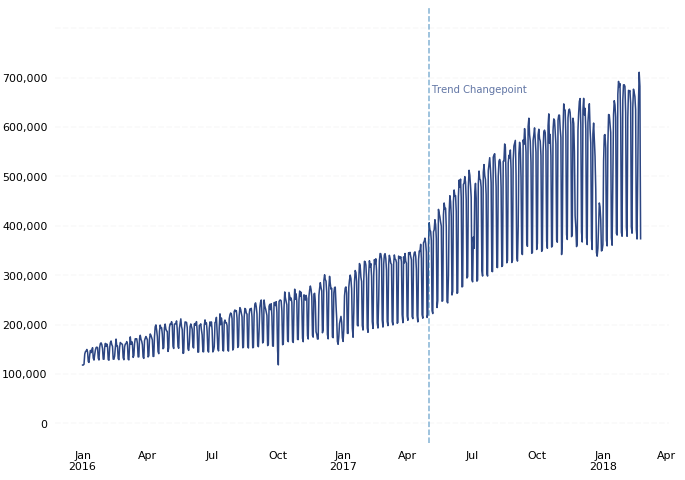 The intent behind Prophet is to “make it easier for experts and non-experts to make high-quality forecasts that keep up with demand.” Prophet is able to produce reliable and robust forecasts (often performing better than other common forecasting techniques) with very little manual effort, while allowing for the application of domain knowledge via easily-interpretable parameters. 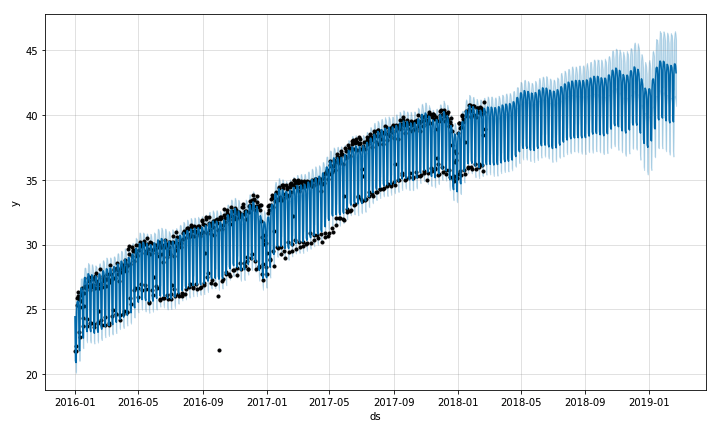 In this recipe, you’ll learn how to use Prophet (in Python) to solve a common problem: forecasting a company’s daily orders for the next year. This lightweight example should serve as a great way to get started with Prophet, and will hopefully spark some inspiration to dive even deeper into the library’s vast functionality. 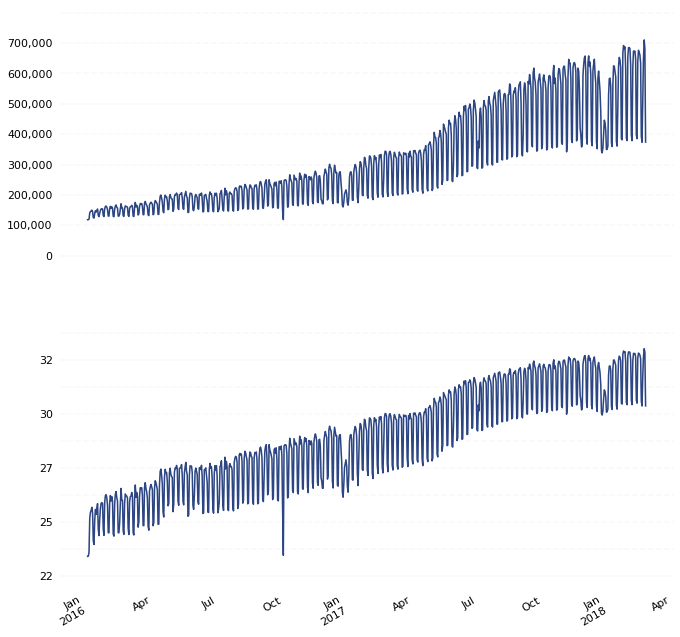 This transforms the index of your dataframe into a DatetimeIndex, which gives pandas the capability to interpret this dataset as a Time Series. The boxcox method has one required input: a 1-dimensional array of positive data to transform. Optionally, you can also specify the λ value you’d like to use for your transformation (e.g. λ = 0 for a log transform). Otherwise, the boxcox method will find the λ that maximizes the log-likelihood function and will return it as the second output argument. 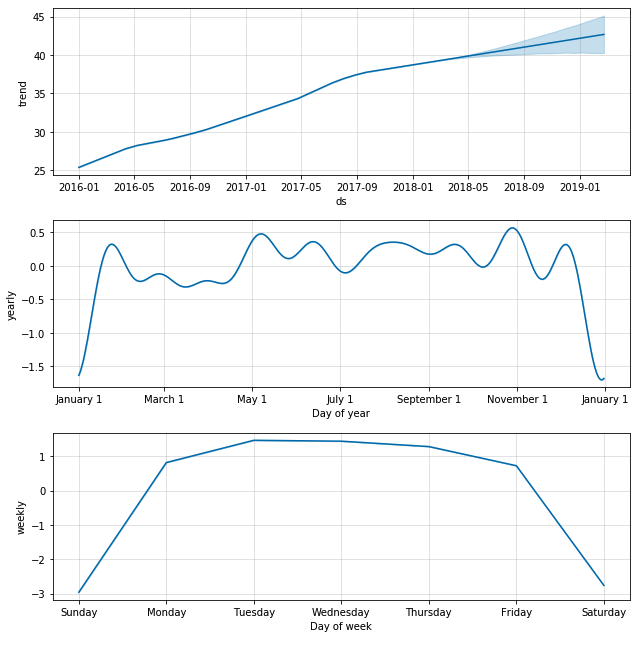 We can now use the predict method to make predictions for each row in the future dataframe.